Vladimir Putin and the the Italian PM Giuseppe Conte met with representatives of the business community, the chiefs of leading Italian enterprises, the official website of the President reports. “Italian companies are a large and significant foreign business community in Russia, with which we intend to continue the close cooperation. The “Made with Italy” brand is becoming more popular in Russia,” – noted the President. “The motors are to be used primarily in oil and hydrocarbon shipping. They are very popular in the Russian fuel and energy sector, and of course will be in high demand in third country markets. Other key areas of the Russian economy, especially shipbuilding, will also use the plant’s products. 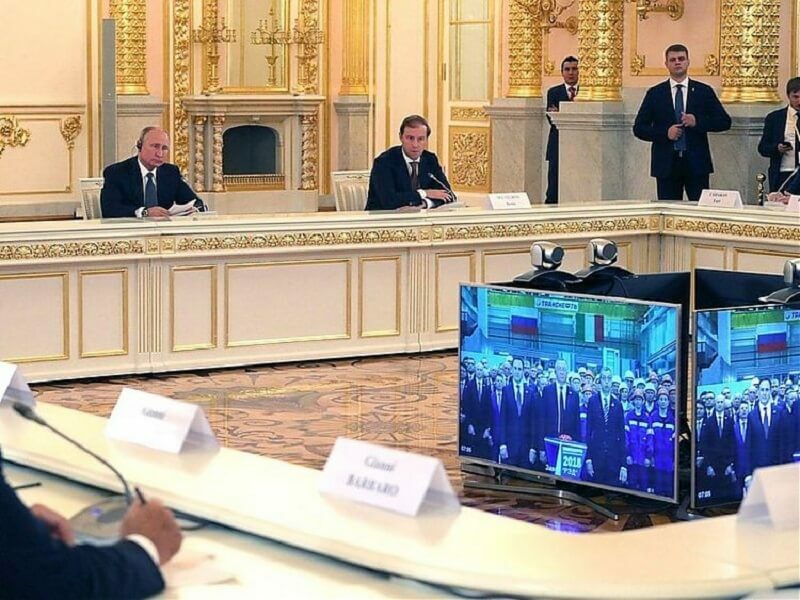 In the future, the motors will be installed in Arctic vessels on the Northern Sea Route and also used for natural gas liquefaction in such projects as the Arctic LNG 2, Baltic LNG and Vladivostok LNG plants, as well as in the metals and mining spheres, railway transport and wind turbines,” – reported Vladimir Putin. The president also paid attention to cooperation with Italian companies in the electric engineering power industry. “We welcome Italian businesses’ desire to invest in the development of electrical power engineering in Russia, namely ENEL’s participation in modernising the country’s generating capacity – the construction of wind farms in Murmansk and Rostov regions,” – noted Vladimir Putin. As reported by the Murmanskiy Vestnik newspaper, Enel Russia PJSC has won the right to build a wind generation facility with a capacity of 200.97 MW in the Murmansk Oblast during a tender on RES-based investment projects held in 2017. The Kola WPP, which is scheduled for commissioning by the end of 2021, will be located along the Murmansk-Tumenny-Serebryanskiye HPP road and will be able to generate about 730 GWh annually, at the same avoiding emissions of about 241,400 tons of carbon dioxide into the atmosphere.